Campers made paper-mache by soaking newspaper in watery Elmer’s glue. They then laid their paper-mache over a balloon and let it dry. Once the paper-mache was dry campers could add more paper-mache forms to the surface to create 3-D features. The mask finally took on character when the campers painted the surface. 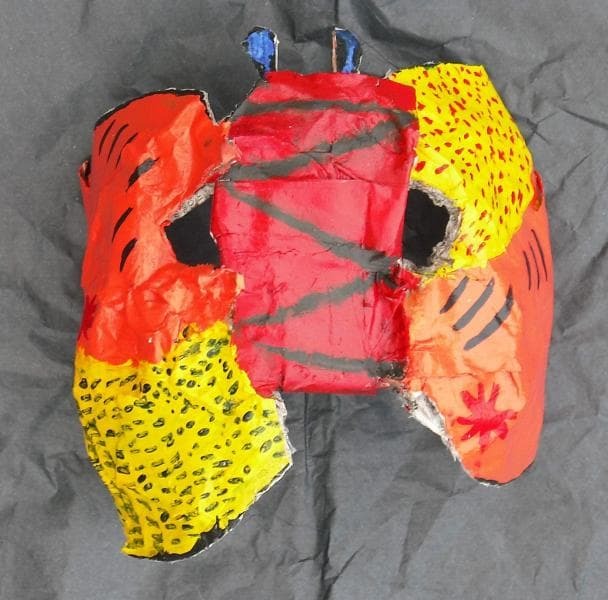 Brittany’s Butterfly Mask was carefully planned and crafted. She painted her mask with vibrant colors and patterns that seem to animate the wings!